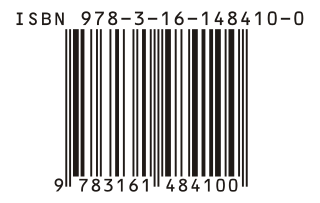 International Standard Audiovisual Number (ISAN) is a unique identifier for audiovisual works and related versions, similar to ISBN for books. It was developed within an ISO TC46/SC9 working group. ISAN is managed and run by ISAN-IA. The National Database and Registration Authority, Pakistan, is an independent and autonomous agency under Ministry of Interior, Government of Pakistan that regulates government databases and statistically manages the sensitive registration database of all the national citizens of Pakistan. It is responsible to issuing the computerized national identity cards to the citizens of Pakistan, maintaining their sensitive informational upgraded in the government databases, and securing national identities of the citizens of Pakistan from being stolen and theft. It is one of the largest government database institution, employing more than 11,000 people in more than 800 domestic offices and five international offices. The ORCID iD is a nonproprietary alphanumeric code to uniquely identify scientific and other academic authors and contributors. This addresses the problem that a particular author's contributions to the scientific literature or publications in the humanities can be hard to recognize as most personal names are not unique, they can change, have cultural differences in name order, contain inconsistent use of first-name abbreviations and employ different writing systems. It provides a persistent identity for humans, similar to that created for content-related entities on digital networks by digital object identifiers (DOIs). A Ringgold Identifier is a persistent numeric unique identifier for organizations in the publishing industry supply chain. Ringgold's Identify Database includes almost 500,000 Ringgold IDs representing organizations and consortia who acquire scholarly publications and content.